Meet the Leader sessions are informal discussions for participants to hear about the personal experiences of leading world figures. 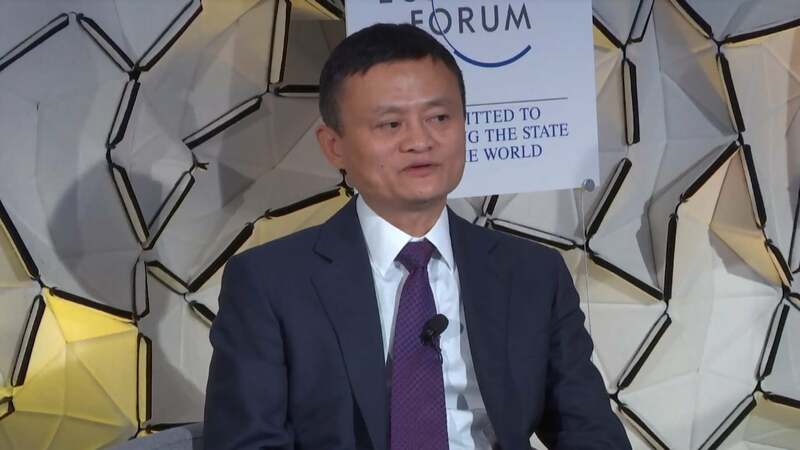 On this occasion, members of the World Economic Forum’s Global Shapers, Young Global Leaders and Technology Pioneers communities will have the opportunity to meet Jack Ma, Executive Chairman of Alibaba Group Holding, and Member of the Board of Trustees, World Economic Forum. Jack Ma is a Young Global Leader Alumni as well as a Foundation Board member of the Global Shapers Community. Of course I was scared I was scared. I had feared. Doubted. Again again. But one thing I never sort of doubt about is I believe somebody if not the US if not me somebody will somebody will be there. But the thing is that I think it’s the early stage of the Internet. Nineteen ninety nine. Everybody has a fair chance. There’s no expert at that time. Even to today. There is no expert. Of Tomorrow. There is only expert of yesterday. Nobody would say well they tomorrow will be like this. So this is what I. Think. We don’t have a system to to support. That’s how I can overcome my doubts and fears. But. I tried to be transparent to my team. And actually I did everything I worry. Everything. I’m confident. I worry. I’m not sure I want to getting the team in put aside. So. That they know. That. If they know I’m hiding something ward they get even more warning. Right. So I tell this is what I worry. About of course. When I go home I think I’m more. Experienced more. And. So at your age our age and early days. Everything when you want to do something. For sure you know if you create value. There is opportunity. But the thing you worry to me or you will probably will or use is somebody would do better. Or quicker. Or mole you know complicated then you are. So sophisticated you are you probably lose the chance. So. When you do business. My rule is never be a fear. Never worry about competition never worry about Dom and all the the pressures. If you worry about the pressure you worry about competition if you worry about this don’t do it don’t be a businessman. And today the good thing is the whole world war is. Everywhere. People worry about date. People worry about privacy. People worry about security. People worry about anything. That normally is. That’s. Great opportunity comes. Because you know you cannot stop this. The Internet time is coming Moabite time is coming. Big data is coming. You cannot stop war with the only thing is you embrace change yourself. And you start to do it. And a dirty system. No. If you have a system you never worry. Nobody has a system. As a president. He doesn’t have a system right. If you’re a human being your worries your doubts. But the only difference we doubt you when you fix the problem. You change yourselves. You fight again tomorrow. Great. Thank you. Let me follow on with that on. Asking about your team. You talked about just now how transparent you were with your team. How did you build your team. A lot of us here are building businesses and organizations where we want to have similar impact or even greater than what you’ve been able to achieve stuff. How did you build your team. How did you know when you had the right team. Well today the 18 founders of Alibaba lot of people think they are legendary somebody while you all the above the founders you must be super good at it. Honestly most of us Khaddafi on the job. The early days. Were not that smart. None of us graduate from a. Great university. But the thing is. We are ready to learn. We believe in the future if we work together if we will learn. If you improve we’ll be there. I told them for the first year everybody forget about that. You will be the vice president right. You will always be a tiny manager. Your life. Because if we’re successful. People we are high they will be smart they’re us. If we only high people are stupider than us then we will be trouble. Right. So when we are high people who are smarter than us the company will grow. You will be happy because this is the vision that we have. So. I would say there is no best people in the world that is suit. Ready for you. The best of people is always you. You fund the right people. Working together.